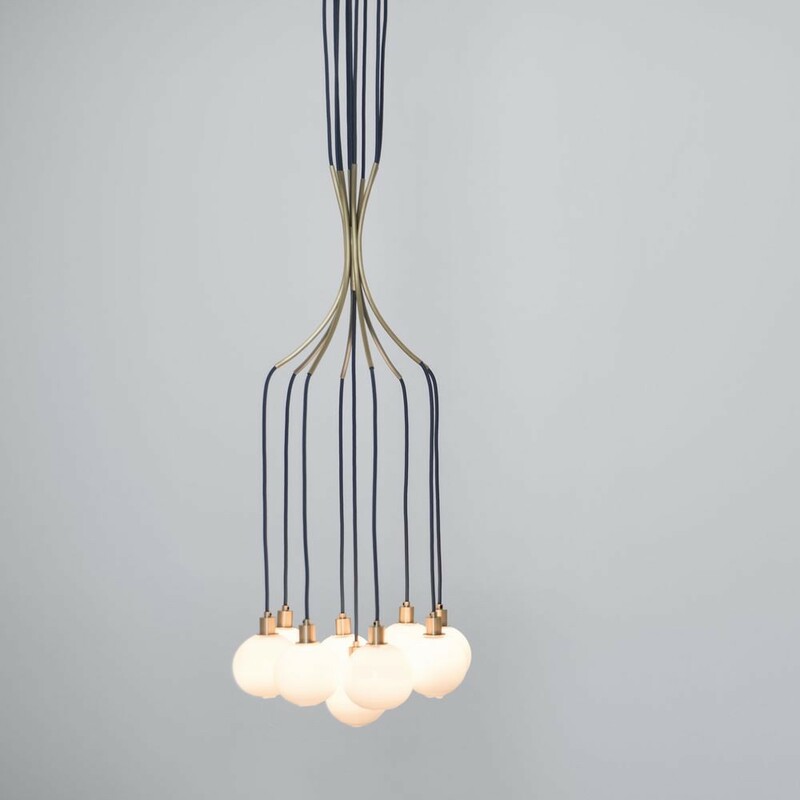 The drape skirt 9 chandelier consists of 9 individual pendants gathered and supported by a central brass “skirt” structure. Each pendant features a 4 1/2″ (11cm) diameter hand blown glass sphere suspended on a fabric-wrapped electrical cord. The cords pass through the tubes of the “skirt”. The glass spheres feature double-dipped fire-polished mouths where the piece is broken from the glass master’s pipe, making each unique.